Vincent is a writer for the Illinois Policy Institute. In this role, he produces, edits and provides research assistance for written content covering state and local issues such as budget and tax policy, overregulation, criminal justice reform and more. 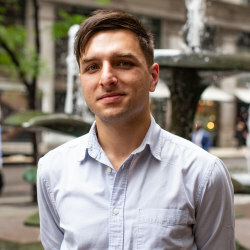 Prior to joining Illinois Policy, he worked as a freelance writer and editor covering a range of subjects including politics, architecture, music and technology. His work has been featured in Reason Magazine, the Daily Beast, Diffuser.fm and Design Bureau, among others.